An integrated IT solution partner helps enterprises streamline their operations while reducing time and cost. This in turn, provides a competitive advantage by enhancing organizational efficiency and productivity. 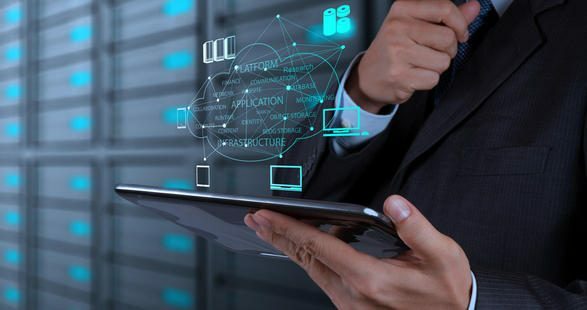 Expertise on key IT System related issues: Any IT system would generally consist of – infrastructure (hardware and software to run the application), security (to provide reliability and integrity of the data), backup (to provide redundancy and availability of systems and data) and services. Therefore, check the solution provider’s capability in all these four areas. It is seen that most projects fail (due to the blame game between various service vendors) or their cost over shots the budget as the project management team spends a large amount of time and money coordinating between these service providers. Scalability of the offered solution: The solution provider should be prepared to assess the existing IT setup to understand the specific requirements and should suggest a scalable solution to address both, the current as well as future requirements. Accolades & Achievements: Conduct background checks before selecting the IT solutions provider. As a thumb rule, expert solution providers are usually appreciated by third parties in the form of awards etc. Moreover, they should also be able to showcase credentials from prior engagements in the form of case studies, testimonials etc. Capability of providing support: An integrated IT solution implementation must be coupled with after services to ensure smooth business operations. Hence it is worthwhile to check for capability and expertise of the provider in this respect to ensure proper support in case the need arises. An integrated IT solution partner can help to put your enterprises on the cusp of a totally new way of doing business by enabling them to fulfil customer demand without any interruption. And, finally it translates into a bigger goal of rapid growth.